My Wedding in Weddingbells Magazine! 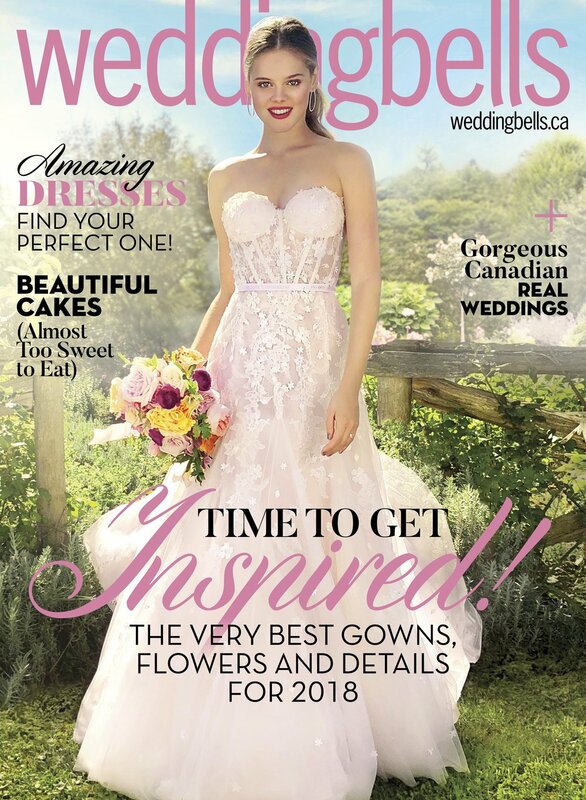 I am thrilled to say that our wedding has been featured in the Spring/Summer 2018 edition of Weddingbells Magazine! It was a busy wedding season with so many amazing weddings in the books but also my own wedding to plan right in the middle of the season. It was pretty easy to do the responsibilities I usually take on as a planner especially since I did much of the booking beforehand.. the hard part was being the bride! The tasks such as finalizing the guest lists, restricting plus ones, making sure the out of town guests were content and fighting back tears to not smudge my make-up on the day were the things I was not used to. All-in-all, all of it was well worth it and it was the perfect day. We could not have had better weather, the room was overflowing with love, everything looked stunning as my team took on the wedding execution and the food was phenomenal. Thank you to everyone that was apart of our special day! Cake: Dolled Up Cupcakes Inc. Rentals @gervaisrentals The Perfect Table RentalsPlate Occasions - Luxury Tabletop Styling & Rentals Chair Decor Etc.